WELCOME TO THE UPTIME NEWSLETTER! The UPTIME project is currently in its midterm phase, with the first prototype of the UPTIME Platform configured and ready to be integrated into the three industrial business cases. In this issue, the first prototype of the UPTIME Platform is introduced, including an overview of its underlying modules. It includes also a business case example from Whirlpool on predictive maintenance of a complex automatic production line, which produces drums for clothes dryers. Moreover, the first releases of the UPTIME demonstrators are in preparation to be exhibited during the upcoming “Global Industrie” event in Lyon, France, from 5th to 8th March 2019. Thus, we would like to take this opportunity to invite you to visit our booth nr. 4P144 in the Smart Industry – Maintenance Village. We will have several showcase sessions at the booth presenting the UPTIME Platform. We hope to meet you at the event and we look forward to getting your valuable feedback about our approaches. For more details about the UPTIME showcase at Global Industrie, please visit our website. The modular UPTIME Platform provides a set of functionalities to the user, in which you can build your own use case depending on your needs. Contact us to see how to make it work in your context. 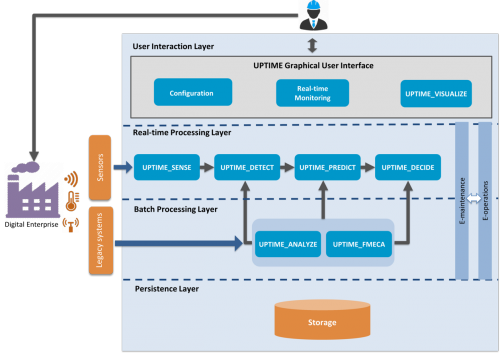 For more details about the underlying modules of UPTIME Platform, read here. The UPTIME Platform is deployed and validated against three industrial use cases: (1)production and logistics systems in the aviation sector, (2) white goods production line and (3) cold rolling line for steel straps. For this newsletter’s edition, we interviewed UPTIME project partner Pierluigi Petrali, Manager of Manufacturing R&D of Whirlpool Corporation, who is based in Italy. He shared his views with us on the benefits of predictive maintenance for Whirlpool’s complex automatic production line, which produces drums for clothes dryers. The Whirlpool use case deals with the newly installed production line for clothes dryers at their Polish factory in Lodz. This is a complex automatic production line, which puts steel coils through a sequence of several steps of straightening, punching, seaming, flanging and screwing to eventually form the drum that holds and rotates the clothes in the dryer. How has Whirlpool performed maintenance activities so far? The drum production equipment is very complex, highly automated and critical from many perspectives. It is critical to ensure the highest possible quality of the drum, which is the core component of the clothes dryer. At the same time, it is vital to keep the production equipment running efficiently and keep costs under control. The equipment in question involves mechanical, hydraulic, electrical and electronic apparatuses. The maintenance of these assets has to be organized and managed at a World Class level. Thus, maintenance activities in Whirlpool factories are organized according to World Class Manufacturing principles. In particular, Early Equipment Management, Autonomous Maintenance and Professional Maintenance pillars provide the guidelines and the roadmap to evolve towards Zero Breakdown Maintenance. Currently, we adopt reactive and preventive maintenance approaches using SAP-PM as a major supporting tool to manage the activities. Maintenance is managed mostly with internal resources. Whirlpool only requires support from external suppliers in major cases of severe damage. The capability of the UPTIME system to predict future failures of the Drum Line and to give indications about prognostic measures will modify the preventive maintenance plan allowing us to anticipate planned intervention on components, and thus reduce unexpected breakdowns and delay other interventions, and thus save money. The new preventive maintenance plan, modified according to predictions, will be more efficient and will impact on most important key performance indicators. We expect the “Mean Time Between Failures” to increase thanks to the fact that some unforeseen breakdowns will be predicted by the system, allowing maintenance to act before the component breaks. Moreover, the “Mean Time to Repair” is expected to decrease thanks to the fact that the maintenance action will be planned in advance, and thus optimising equipment downtime. All these effects will also positively impact the total cost of maintenance thanks to an optimized management of spare parts, technicians scheduling and improved effectiveness. UPTIME is going to provide a big step of improvement in our Maintenance process and will help us to consolidate the transformation from Preventive to Predictive maintenance approach. 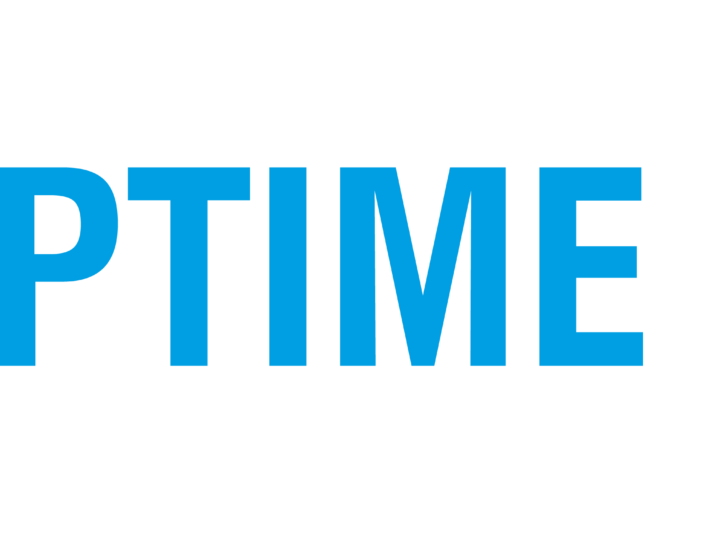 UPTIME Partner Programme provides information, use cases analyses & assistance with the implementation of the UPTIME Platform with proven benefits based on real industrial use cases and Software technology. UPTIME provides information to industry explaining the value of the platform, testing the technology and collecting its feedback for the continuous improvement of the platform. This includes invitations to webinars, workshops and other UPTIME events; invitations to participate on our surveys; access to UPTIME demos and videos, which will be provided free of charge to all types of partnership. Additional services can be provided on demand. Information Partner: You will receive general information and knowledge about the UPTIME Platform, helping you to improve your understanding of Predictive Maintenance and identify your main business needs. Application Partner: You will receive support to identify your needs regarding Predictive Maintenance and to evaluate the opportunity to adopt UPTIME Platform as well as access to learning modules and specifications. Pilot Partner: You will receive support to launch your Predictive Maintenance project and test the UPTIME Platform in your environment. The offers include also a half day free of charge expertise for analysis applicability of UPTIME to your specific application scenario. Technology Partner: Suitable for companies that are ready to invest in the go-to-market of UPTIME Platform, to build a commercial product from UPTIME, to integrate UPTIME into an existing product, and/or simply to market, communicate and sell the platform. If you would like to benefit from new advances in predictive maintenance, join the UPTIME community! Select the type of partnership according to your needs at UPTIME Partner Programme. If you have any questions, please feel free to contact us at community@uptime-h2020.eu. The paper entitled “Towards a Unified Predictive Maintenance System – A Use Case in Production Logistics in Aeronautics” by UPTIME partners has received the Best Paper Award at the 7th International Conference on Through-life Engineering Services which took place on 6th & 7th Nov 2018 at Cranfield University, UK. The paper and presentation slides are publicly accessible through the UPTIME website.